Oh what a day. I drove to the John Heinz Nature Preserve near the Philadelphia Airport. I was just going to take my macro lens, but Ken suggested I take the big telephoto lens as well, just in case. When I got out of the car, the butterflies were fluttering all around. A dragon fly buzzed by and the grasshoppers were hopping. I knew I would have a good day. 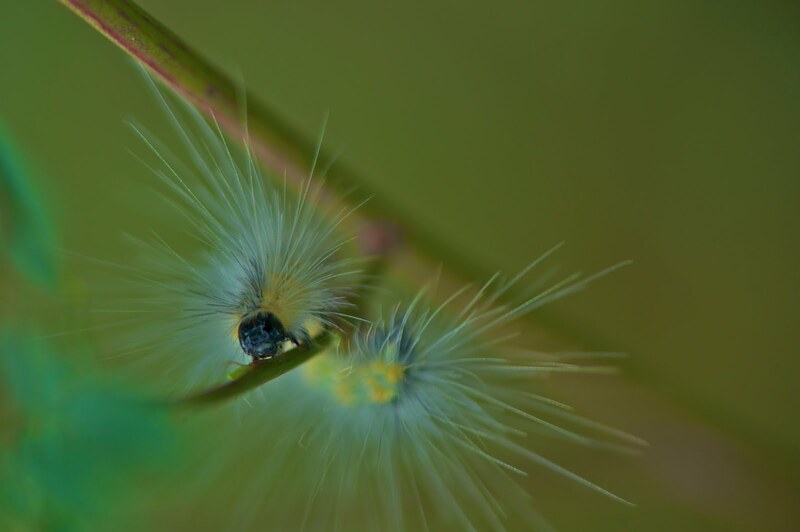 I found this little caterpillar on a leaf and took a few photos of him, then turned around and looked in the marshes and saw at least a dozen Great White Egret just wading in the water. It was heaven. If you go to the home page at www.kittykono.com you can see a large sampling of the photos I took. Get there early, because a new photo will be posted there tomorrow. So this is the controversial one?